Cancellation 2days and below or no show will be charged full payment of the whole stay . Cancellation above 2 days will be charged 50% of the total stay. Group leaders are require to ensure noise level of the group to the minimum . Group leaders also have to ensure that the group do not disturb or harass any other guest in the hostel or the whole group will be ask to leave without any refund. 60's Hostel is ideally located in Central Singapore at 569 Serangoon Road, in a walkable distance between Farrer Park MRT and Boon Keng MRT stations. Close to the hostel are some of the Singapore's most popular local food coffee shop, restaurants, shopping malls, Chinese & Indian Temples, Mosques and recreational clubs. Famous 24 hours shopping center Mustafa is only 500 meters of us. We have few different theme colour room types, mixed & female type. Family can also choose our family room. Access to the rooms is by electronic key card, every bed comes with curtain, and individual socket for your use & bedlights for you to read at late night. 60's Hostel is covered by CCTV camera surveillance, safety for all guest is our main concern. We even have a room with balcony, where you can enjoy your sun tanning. 2. Both cash and credit card (Visa, Master) are accepted upon arrival. (1) Up to 3 days advance notice before the arrival date is required for cancellation free of charge. (2) If cancelled later or in case of No-Show, full amount will be charged. 4. 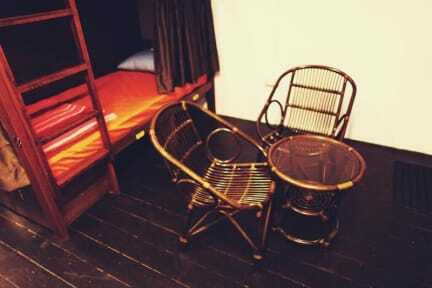 Age restriction:Kids Below 12 years old are not allowed in the hostel.